A high performance, integrated handheld RF & microwave spectrum analyser, vector network analyser, cable and antenna analyser for RF installation and maintenance. Cable & antenna test, spectrum analysis, microwave power meter measurements and vector network analysis in a rugged, compact, lightweight and weather-resistant package. 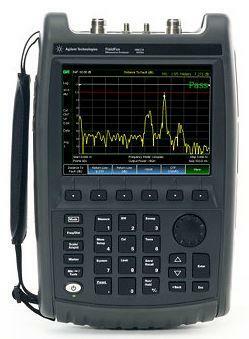 Vector Network Analyzer: 30 kHz to 6.5 GHz; full 2-port, all four S-parameters, S11, S21, S12, S22, magnitude, phase, group delay, impedance, Smith chart etc.